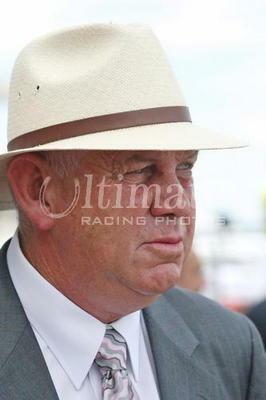 Tony Noonan Racing is proud to announce that well respected Trainer and horseman Quinton Scott will be joining the team. Quinton has a wealth of experience having been a licensed trainer for 44 years. Scott rates his success at the 1984 Warrnambool Carnival as one of his proudest achievements, when he was the first trainer to win the Brierly, Grand Annual, Wangoom and 2 others races over the three days – a massive result! The move to the role of Foreman to Tony has come at a fitting time ‘I was keen to scale back my training operation, I will keep a couple of jumpers in work but the chance to join Tony Noonan Racing was a wonderful opportunity and I jumped at’ Quinny enthused. ‘I have known Tony for a lot of years and he is such a well respected trainer that the chance to work with the team is very exciting’. Tony Noonan is delighted will the addition to the stable. ‘When I was starting out as a trainer Quinny took me in and I learnt so much about the industry and training and much of this helped me form the basis of my own training operation’. ‘I am really excited about the experience and ideas that Quinny will bring to the business’. You will see Quinny at the races, trials and around the stables, he is looking forward working with the owners, horses, Tony and staff to ensure the best results possible are achieved.